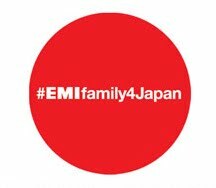 Just as our local arm of EMI did earlier this year, the record company’s artists globally have come together to raise funds for the people of Japan in a project called ‘EMI Family 4 Japan’. Kicking off a couple of days ago is an eBay auction of piece of memorabilia, donated by some of the record company’s biggest artists. Coldplay, The Beatles, Katy Perry, Melanie C, Tinie Tempah and The Chemical Brothers are among those who’ve given up pieces, with bidding already underway. There’s a signed Depeche Mode lithograph, box sets by The Beatles, Pink Floyd, Radiohead and more, signed posters and CDs, along with musical instruments. To lend a hand, or to check out what’s on offer, head to the EMI Family 4 Japan eBay site HERE.